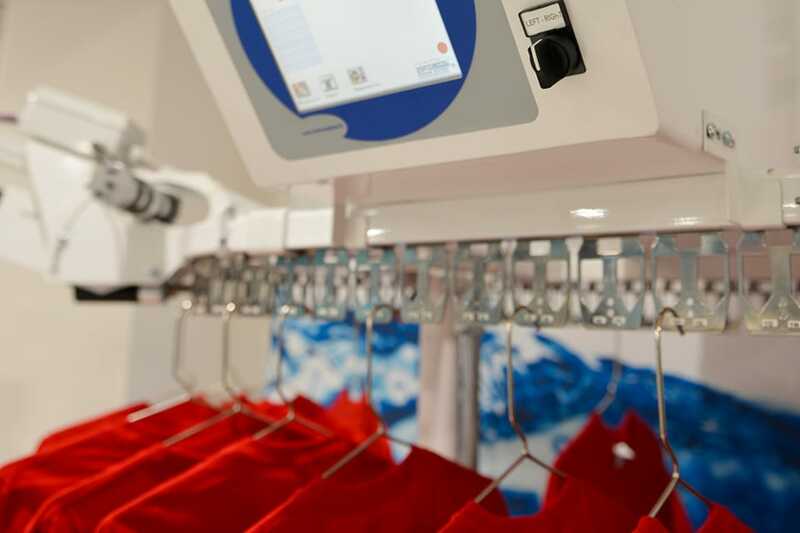 Laux is the automated laundry system that manages the entire workflow: acceptance, stocking and re-delivery of garments. The customer is given a personal card containing all the barcodes associated with the delivered items; once washed and ironed, the garments are hung on the appropriate conveyor belt. In this way, the simple reading of the card with the barcode reader automatically activates the conveyor belt, which delivers the garments to the customer in only a few seconds. System for the management of the entire workflow of a Laundry: acceptance, stocking and re-delivery of garments. The conveyor belt is “custom-designed” to take full advantage of the customer’s available spaces.